Mark Justiniani remembers meeting an astrophysicist in one of Mark’s painting exhibits in the US. The artist had a hundred questions for the scientist. Something like how does one start when you want to understand more about physics. You could just imagine how mind-blowing Mark Justiniani’s installation would be at the Artiglierie of the Arsenale in Venice for the 58th Venice Art Biennale, with Tessa Maria Guazon as its curator. It would be like a master illusionist putting up makeshift magic, toying with physics and optics — plus color commentary provided by someone bearing fantastic prose about young women with angel wings. What a dream team. 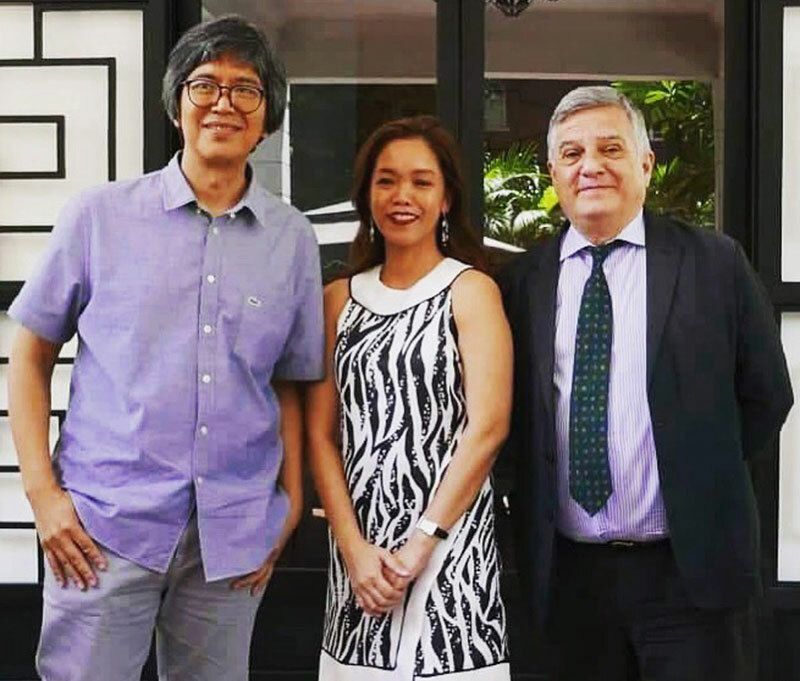 This is the fifth time the Philippines is participating in the most prestigious art event in the world since its re-entry in 2015, including participations in both the Venice Art and Architecture platforms. The country’s national participation is a collaborative undertaking of the National Commission for Culture and the Arts (NCCA), the Department of Foreign Affairs (DFA), and the Office of Senator Loren Legarda. Justiniani’s installation piece for “Island Weather” is titled “Arkipelago” (from his “Infinity” series) and comprises three geomorphic forms of glass and steel, with turret-like constructions and complementary elements hanging from the ceiling and bound to walls. These constructed tableaux reference the archipelago inside the fully darkened pavilion space. Ramps and bridges connect the islands. Visitors are encouraged to step on the glass surfaces to view the assemblage of objects inside. Images and forms will be multiplied manifold with the viewing experience encompassing latitude and depth: a dive beneath and a sweeping reach. As visitors experience the work, they also encounter the regions of the Philippine archipelago in a fleeting, fantastic, even ghostly manner. They would see lighthouses, sugar mills, seats of power, and even Siquijor, which is cloaked in mystery. “It’s about a nation dealing with its past and its present,” he says. The installation’s metal frame and glass took two months to construct in the Philippines. The frame was measured and customized to fill the country’s space at the Arsenale where the country has exhibited since 2017. Guazon says that Justiniani’s pieces impart joy of illusion as viewers enter another world. The immersive experience of the work is a major aspect of the installation and brings into high contrast the experience of the real world and the world that art offers. The Philippine Pavilion curator explains that there is the momentary immersion in another world, which offers a sense of dislocation or fascination. “These are immersive environments. In the ‘Infinity’ series, the works are often in darkened rooms. You enter a different space. While the objects may appear familiar — grass, toys or anything from everyday life — they will appear multiplied. 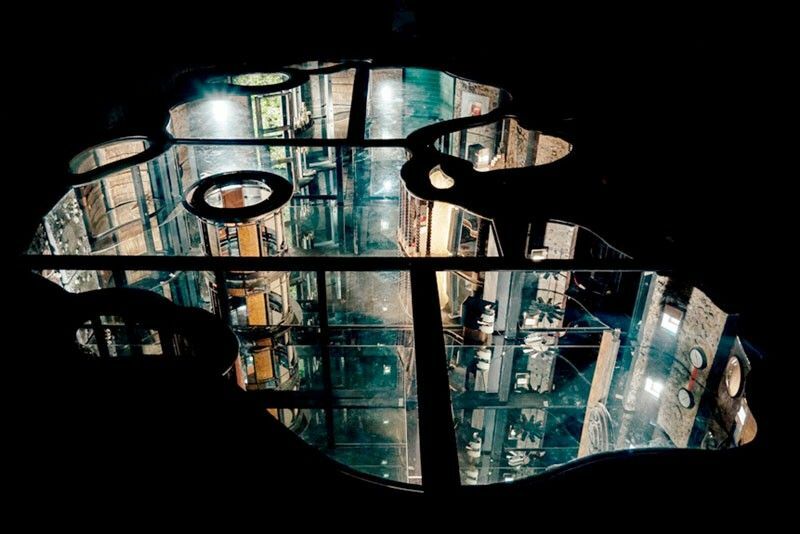 It’s a trick on the eye, a play on spatial experience.” When visitors walk upon the glass platforms in Justiniani’s installation at the Venice Biennale, they will get the feeling they are walking over the very depths of something mysterious. Guazon says, “In truth, it is just a shallow space. That’s where the magic of the artistic practice lies — we are brought to a different place. (‘Arkipelago’) invites viewers to burrow in.” Something archeological and psychological. Mark Justiniani has been using mirrors as a medium as early as decades ago. We wonder what that day was like when he placed mirrors beside words and entire archipelagos of infinities popped out. The Philippine Pavilion in Venice will open to the public on May 11 until Nov. 24.